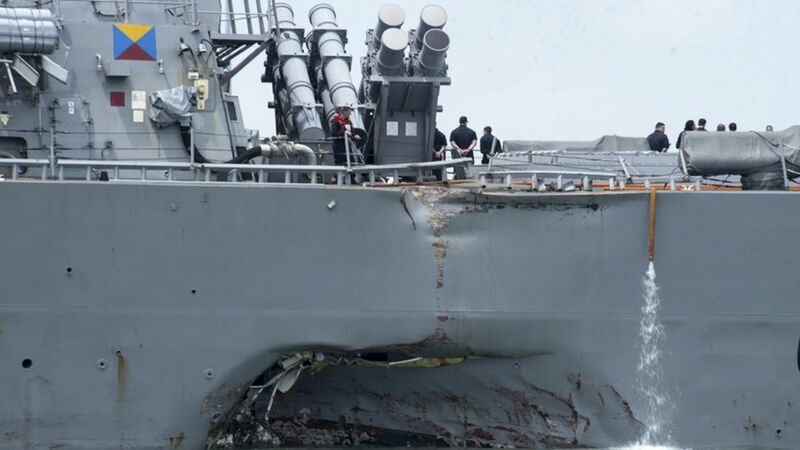 Admiral Scott Swift, the commander of the U.S. Pacific Fleet, announced today that divers had found bodies inside the hull of the USS John S. McCain, which struck a civilian ship in the Strait of Malacca early yesterday, per CBS News. The details: With 10 sailors missing after the collision, Swift didn't specify how many bodies had been found inside the ship. He also announced that the Malaysian Navy had apparently recovered another body. Why it matters: The McCain incident adds to a string of deadly mishaps this year for the Pacific Fleet, undermining confidence in the United States' presence in the Pacific and spawning theories that the incidents might be caused by anything from gross mismanagement to cyberinterference.